I read this article and found it very interesting, thought it might be something for you. The article is called Perrys Aquatic Centre and is located at https://perrysaquaticscentrelincoln.com/Latest%20Posts/anemones/. Clown fish in an aquarium will live in the tentacles on the anemones. 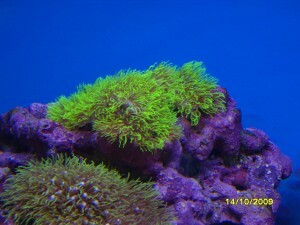 They can live in the anemones without getting stung unlike other fish. 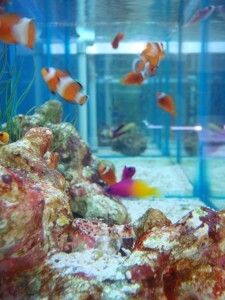 It is thought the clown fish develop a layer of slim over their skin to protect them from the stings off the anemones. The anemones are used by the clown fish to protect it from predators. Anemones are actually animals that attach themselves to corals or even rocks. They have stinging cells and these things can paralyze small sea creatures. This is one good defense mechanism for these little babies. There are others who say that crabs and sea anemones share something close to a symbiotic relationship. This is because crabs will eat the small sea creatures that died from the sting and the anemones will eat the scraps of the crab.